Get smart(phone)! Mobile is quickly becoming the most prominent way of browsing the web. In fact, so far in 2018, 48% of views on Convertus-built sites came from a mobile device. That’s a 4% increase since last year! As part of our Mobile-First Optimization project, our team is currently taking a deep look into how customers use Convertus-created sites on mobile devices. How? We’ve done an extensive study of user behaviour patterns on key website pages. Without getting into too much technical detail, (because we could go on for days about the cool methods we use) we’ve employed a variety of techniques to get up-to-the minute data on how customers interact with mobile sites. Using what we’ve learned, we were able to identify any roadblocks that customers may face while looking for information on our sites, and have set about removing those roadblocks. We’ve come up with multiple ways to improve our current sites, including brand-new user-friendly widget designs, blazingly fast page speeds, and other industry-leading mobile interface concepts. 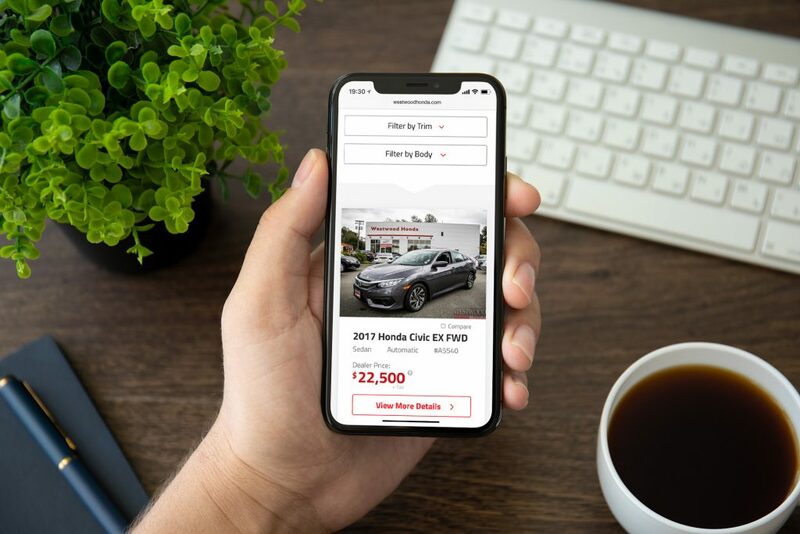 As mobile continues to become the preferred method for people to browse the web, it is important that your site comes fully equipped to provide your shoppers with the best possible online car search experience. Stay tuned as we start rolling out our new mobile-first designs in winter 2018. Want in? Feel free to drop us a line.